The inaugural GSAC Games is a fitness challenge that will be a gruelling show of strength and endurance as well as an exciting celebration of fitness and determination on Saturday, 22 September 2018. The new GSAC Games offers events for men and women over 18 and a Masters event for people over 40, with both competitive and non-competitive categories. The challenge comprises four individual workouts over one day that include elements of strength, endurance and cardio, including a pool-based workout. 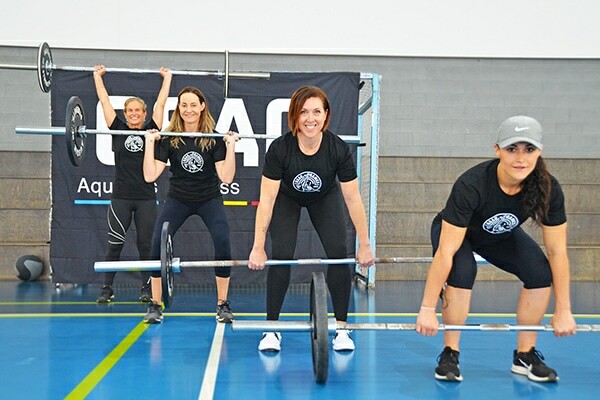 “Fitness challenges are hugely popular at the moment and we love them,” Goonellabah Sports & Aquatic Centre Gym Manager Roberta O’Brien said. “For some people it’s the desire to win that drives them while for others it’s about challenging yourself to reach a goal and go beyond what you thought you were capable of. Either way, a fitness challenge is a great way to see people at their very best. In competitive events, participants must complete all four workouts with prescribed set weights and medals will be awarded. In the non-competitive events, participants can scale weight and movements if necessary and there is no winner. Registrations for the inaugural GSAC Games are $100 with a GSAC Games T-shirt included.